This post is brought to you by Allconnect. You can learn more about their services by visiting their website Allconnect.com. I honestly had no idea that there were businesses that let you compare TV and Internet rates in your area – sort of like Expedia, but for utilities. Allconnect not only allows you to compare TV and Internet rates, but you can also compare rates for home phone, natural gas, electricity and home security providers. It’s an all-in-one rate-checking service that’s free and easy to use! Why should I use Allconnect.com? Well, why not? I guess you could do the work yourself and get individual rates from your local utility providers by visiting their websites or giving them a call but who has time for that? Especially if you’re moving. The last thing you probably want to be doing is comparing service provider rates while you’re moving. Plus, Allconnect guarantees the lowest rates. The Allconnect website is straight forward, easy to use and easy to navigate. I’m currently paying $118.46 for the U-verse U300 package. This includes On-Demand services that I am not really using and could definitely do without to save some money. Here are some of the rates that Allconnect gave me from Charter and Dish for TV in my area. If I went with the cheapest option available, I would be saving $88.47 per month through Dish. 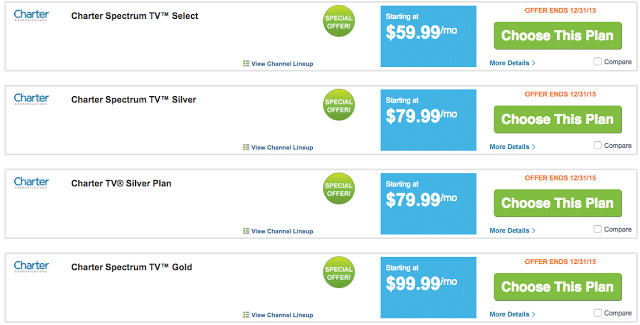 If I went with the most expensive option through Charter, I would be saving roughly $18 per month. The prices say “staring at $____” which means there’s probably fees for HD, additional servers, etc. but they’ve definitely got my attention. If I decided to go with a bundle of TV and Internet through Charter, I would be able to get it for $115.95 per month instead of the $183 per month I’m currently paying. That really caught my attention. 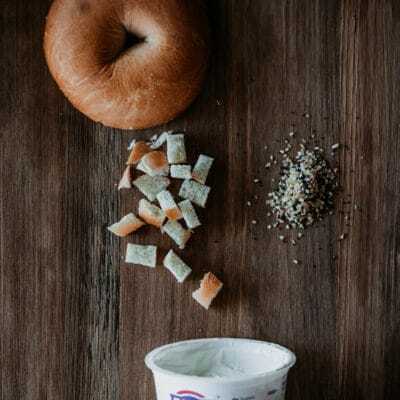 What can you save per month? 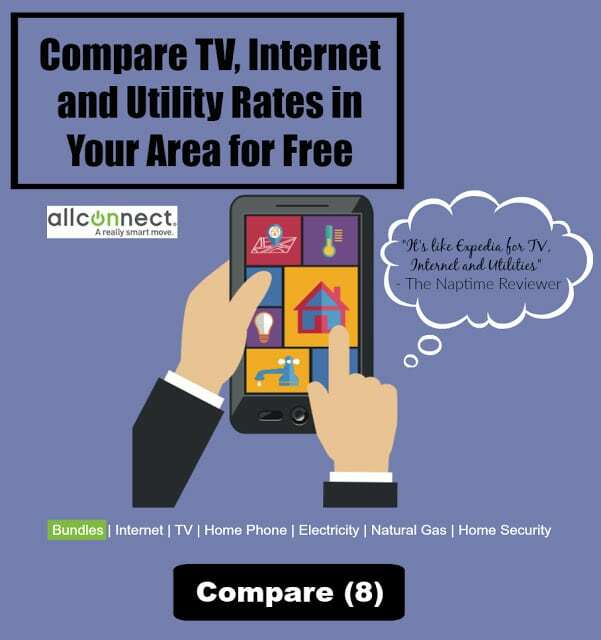 Compare TV and Internet rates for your area at Allconnect.com. Good luck! I am paying $69 dollars and I would save $30 dollars if I change! I am not paying for my TV service currently . I am currenty paying about $120 for my current plan, so if I went with their most expensive plan, I would be saving at a minimum roughly $20! I am gonna check them out, because it all adds up! To save money I am not paying for any TV service/cable because I cannot afford it. I pay $116 for both high speed cable and internet. I was quoted $29.99 for tv which would save me about $10. It was for the same provider that I have but I have been unable to lower it. I think they just quoted me the introductory price for the service. My sister pays over $100 monthly for a bundle! Allconnect said $29.99/ month for America's Top 120, and I would save $30/ month! I currently have a Bundle plan and pay $125+ each month. Allconnect's lowest TV quote was $29.99 per month and would give me a savings of $30 per month. I currently pay $60 per month for my TV service. I could save $30 per month. The more a read about the AllConnect service, the more satisfying it becomes.